The variety of nuts offer you a heavy dose of protein, which is essential for everyone especially vegans & vegetarians. If you don’t eat meat, fish, poultry, eggs, or dairy products, you must eat a plethora of protein-containing foods every day in order to get all the amino acids needed to make new protein, according to Harvard School of Public Health. Sunflower seeds are low in cholesterol & sodium. They are also a good source of Thiamin, Vitamin B6, Magnesium, Phosphorus, Copper, Manganese & Selenium, & a very good source of Vitamin E (Alpha Tocopherol), according to Self Nutrition Data. I've got a pretty severe sweet tooth, so the mixture of semi-sweet chocolate chips & cranberries add the perfect touch of sugary goodness. I got mine from Trader Joe's. Okay, so now that I hyped you up on this easy vegetarian recipe & got you all drooling, you need to know just how to make this delightful DIY munchie. It's super simple, I promise. This is ideal for a protein-packed, portioned snack. Here's how it's done: 1. Measure & mix everything together. It's important to remember that nuts & chocolate are high in fat, so please portion these out. This yields approximately 20 servings with each serving being 1/4 cup. You can eat as many carrots as you want, but keep your trail mix intake to a minimum. Other than that, yes. It truly is that easy. Bon Appétit! love trail mix, this looks amazing. Looks so yummy! Must try it! love home made trail mixes, so nice to know what you are eating, most of them are covered in sugar! I love trail mix - looks lovely. 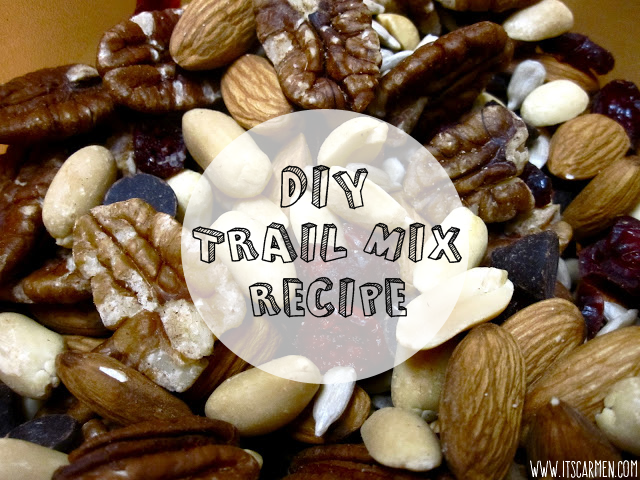 i love trail mixes, they're so so yummy! I don't know why I never thought to make my own trail mix. It seems so obvious now, lol. I'm a fan of all the ingredients you used-yum! You're so right, its so easy to make! I love doing it. That's a great idea and it looks delicious. Great post and keep up the good work. 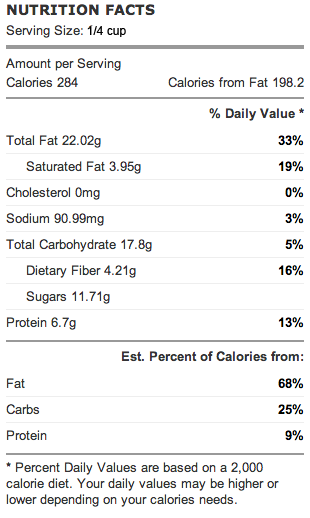 This is great love how you even put the nutrition facts, I've been trying to eat more healthy. My friend went to Hard this year without me but she invited me to hard day of the dead should i go ?? great recipe darling! 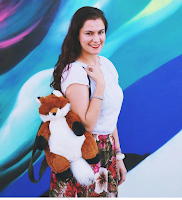 this is so easy and fast to make on the go :) I normally make a similar mix before going for a hike or before going on a road trip :) Thanks for sharing! This looks yum! 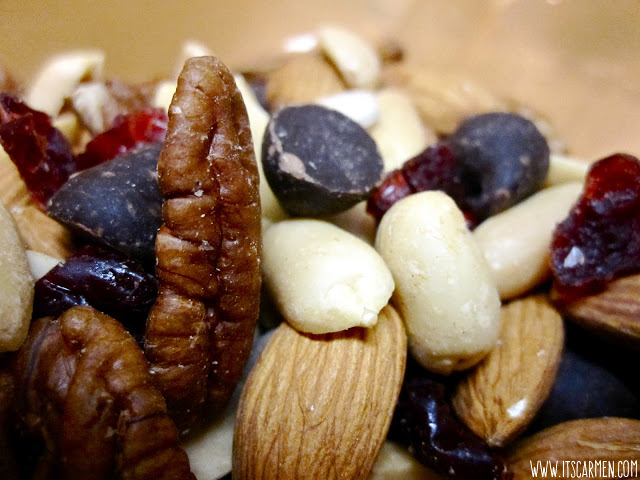 Trail mix is high in fat but it's so much better to get it from nuts than chips, I guess!